If you read health reports online or in newspapers or magazines, there may have been stories regarding the effects of nutrition on eye health. For instance, nutrients found in carrots and fruit known as carotenoids can help protect your eyes from the damaging rays of the sun. These rays can cause free radical generation in the eye tissues which makes them vulnerable to injury. Carotenoids act as free radical scavengers which can absorb these dangerous free radicals. A new study published in the journal Opthamology has established a positive link between the daily intake of multivitamin supplements and eye health. They analyzed data from a study involving 14,641 male subjects over 50 years of age who were randomly placed into two groups receiving either a daily multivitamin or a placebo pill. The study participants had no known eye disease at the beginning of the trial. The subjects were followed from 1997-2011 and information regarding supplement adherence, side effects and the occurrence of eye disease was recorded annually. The results of this experiment indicated that the subjects who were taking the daily multivitamin were nine percent less likely to develop cataracts compared with the group who took the placebo pill. 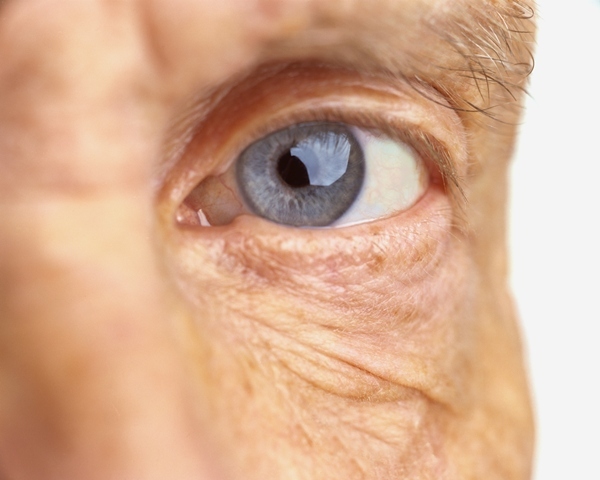 “Cataract is a very common source of ocular morbidity in U.S. adults. If our findings are real, that is, if multivitamins really do reduce the risk of cataract, even by a modest 10%, this rather small reduction would nonetheless have a large public health impact,” said study author, Dr. W. Christen. This is an important finding if you are over the age of 65 as cataracts are one of the leading causes of blindness and failing vision in older adults. They are frequently caused by damage to the lens of the eye from repeated free radical assaults. These free radical assaults are attributed to the sun’s UV rays which can damage the normal cells of the lens transforming them into scar tissue. This process typically produces the opaque clouding of the lens. Although it is difficult to tease out just what nutrient was responsible for the positive impact upon lowering the risk of cataract development, nutrients actually function better in the presence of other nutrients. In this case, the multivitamin combination worked in tandem to lower the levels of free radicals in the lens over time and thus lowered the risk of cataract development. The results of this study show that if you are over 50, there may be a good reason to take a daily multivitamin supplement as this can improve your health and decrease your risk of developing certain diseases like cataracts. Hand, L., “Daily Multivitamin May Lower Risk for Cataracts,” Medscape web site, Dec. 3, 2013; http://www.medscape.com/viewarticle/815253, last accessed Dec. 3, 2013. Christen, W., et al., “A Multivitamin Supplement and Cataract and Age-Related Macular Degeneration in a Randomized Trial of Male Physicians,” J. Ophtha. September 2013.